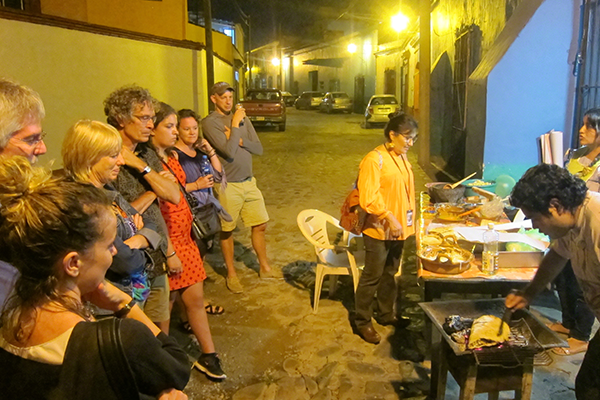 It is no secret that Oaxaca is home to the most diverse food and drink on the planet so allow Alma de mi Tierra to introduce you to this world at night through a Oaxaca food tour. We want you to enjoy the best the area has to offer. 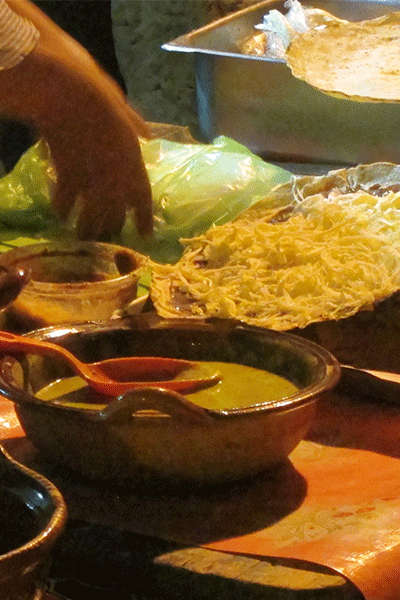 Join us on our street food tours to treat your taste buds to authentic dishes of Oaxaca that the locals enjoy every day. Accompany Nora Valencia who is a federally certified tour guide on her small group walking tours. Nora keeps the tours small, no larger than 8 people because she believes that food is best shared with friends and family. 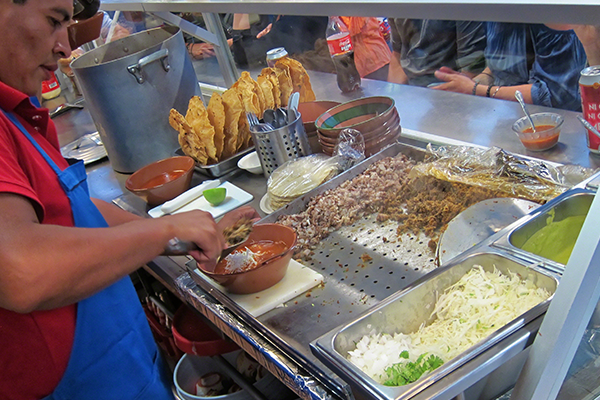 Indulge in Oaxaca’s best culinary dishes, sample authentic mezcals and beers along with Aguas Frescas and make new friends along the way. Allow your expert guide Nora to guide you to some of the best places around as if you were a local. Most of the places Nora will be taking you to are small and some do not have places to sit, but explanations by Nora of what is being prepared and conversation will make up for any waiting or lack of seating arrangements. If you would you like a more hands-on approach from what you see on the tours then why not consider signing up for one of our cooking classes. 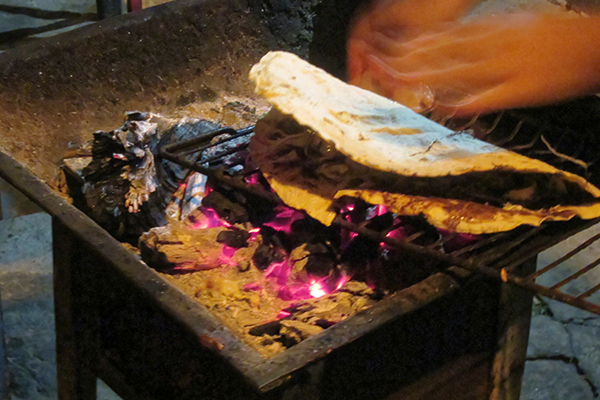 Here you will learn the authentic secrets that allow you to come to Oaxaca as a tourist and leave a bit more informed of the techniques and traditions of authentic Oaxaca cooking. Price does not include transportation to and from meeting area.